Every time when I ask people about their gym routine, I get answers like “I start with 10-minute cardio over treadmill then…”. It seems almost everyone is stuck in the rat-trap of monotonicity when it comes to choosing and performing exercises. I feel, for continuous results you’ll have to bring variations in your exercises. We’ve written about this in our earlier post. 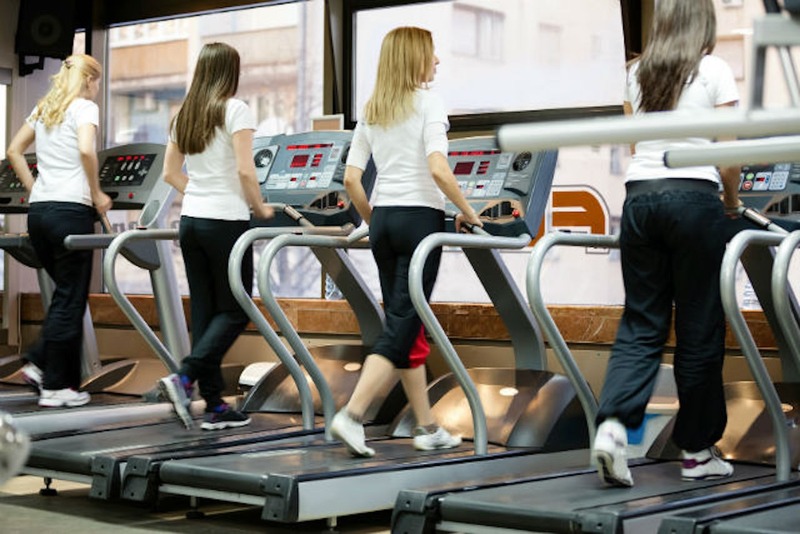 Treadmill sprints will strengthen your glutes, quads and legs and will increase your running speed too. You should perform sprints for 30-40 secs interval. Choose the speed where it gets difficult for you to survive running for more than 40 secs. Gain the speed with machine gradually to hit the maximum and stop either by lowering down the speed or jumping off the belt on the leg-rest while holding the support bars. Cool down for 25-30 secs and Repeat this for 15 times. This works for your entire body. In order to do it, begin with your hands off the treadmill and your legs on the treadmill with your body in a plank position. The speed of the treadmill should be slow. Now as the belt moves walks on your toes maintaining your plank position. Keep your back straight and engage your core muscles. Treadmills aren’t just great for legs but your arms too. It helps to chisel your arms, shoulders and chest. In order to do it start with a low speed and place your hands on the treadmill and your legs on the ground. Engage your core while your hips kept still and only your hands should be moving. As the belt moves, hop your hands on the sides of the treadmill and continue. Another arm burning exercise, this time targeting the back of your arms. In order to do it, place your hands on the side of the treadmill with your hands in alignment with your hips, qith your fingers facing towards your feet. Now lower your body down with your elbows in line with your wrists. Lift it up and then again down. Lunges are great for toning your legs. In order to perform it start with a low speed of 1.1 mph. Lean forward and push off your front leg while alternating with legs for lunge movements. Remember to keep your legs straight with your core tight and shoulders relaxed. This paces your heart at a higher speed and gets your calories burned. To do this, stand on the bottom edge of the treadmill, jump and tap the balls of one foot on the treadmill. Do the same with the other. Keep your shoulders swinging while doing it. Burning your thighs, this exercise is all about killing your calories. In order to perform it, start running on the treadmill with raising your knee up to the level of your waist. Land on your toes and do the same with the other leg. An exercise for your hamstrings what you have to do is start jogging backwards with a low speed facing in the direction of the belt movement. You should feel your claves burning. Increase the speed gradually. and jog backwards. This exercise is all about your quads and core. In order to do it, start with back foot on the treadmill, your front foot on the ground and hands on your hips. Now lunge down with your back knee touching the belt of the treadmill. Now use your heels to stand up. Repeat the same with the other leg. These work for the side muscles of your legs. In order to do it, face one side of the treadmill with one hand on the bar and another on the rail and start galloping. Your legs should be hip width apart. Start with a lower speed and then gradually increase it. Repeat with the other direction also. Staying fit doesn’t demand to get all types of equipment. A slight variation with exiting ones can also make you to achieve your goals. Let’s start putting up the dusty Treadmill to some use.